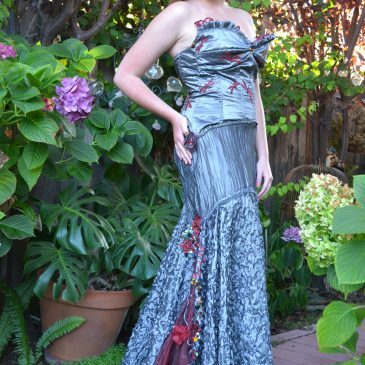 DRAGONFLY GALA DRESS-Featured in Belle Amoire 2012, Won Donated Award American Sewing Guild-San Diego Fair,& Featured in Tri City Fashion show 2014. 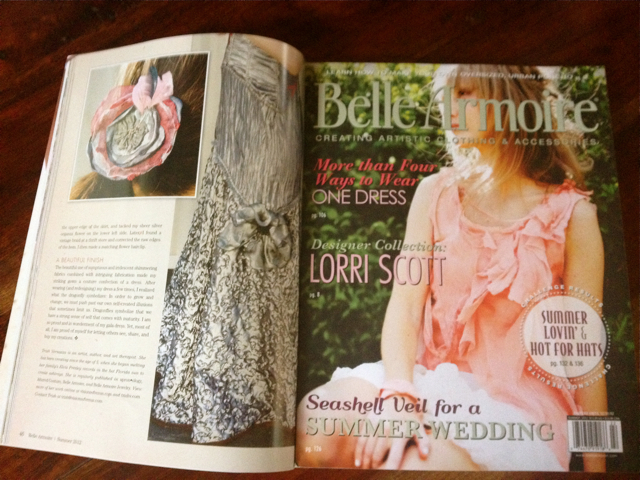 My Red Dragonfly Gala Dresspublished in, Belle Amoire, Summer 2012, Page 46. I had the pleasure of having my niece Peyton Carroll model the dress and it was a feature at the Tri City Fashion Show, 2013, Modeled by Sara. 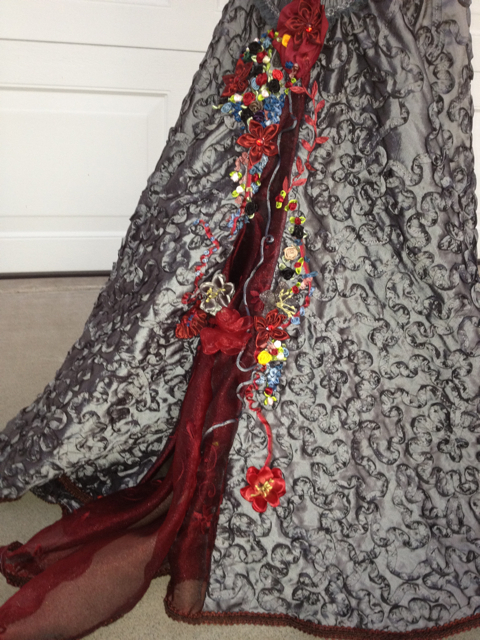 It has graced many events and won the Donated award 2013 from American Sewing Guild! Hand embellished and embroidered. It not only won 1st place at the San Diego fair, but also won the prestigious Donated Award, gifting me a membership for a year to the American Sewing Guild, which ehanced and changed my life. 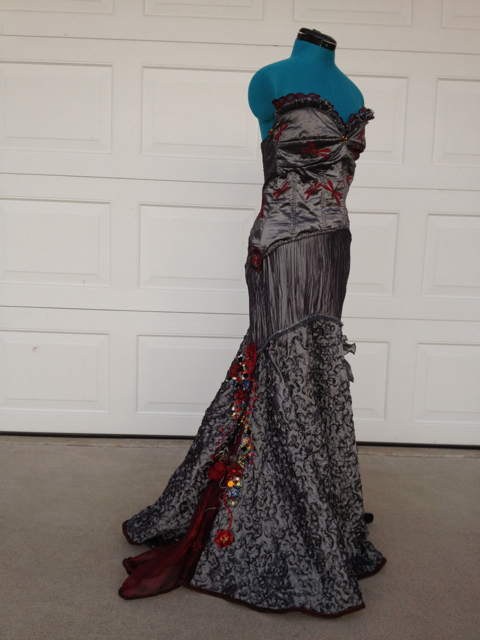 Before this award, I did not think I could sew, due to poor sewing skills confidence. Also included in the photo is my green Envy Dress and Asian Flower sun Dress.